In a separate small bowl, coat blueberries with 1 Tbsp flour. This will keep the berries from sinking to the bottom of your donut pan. 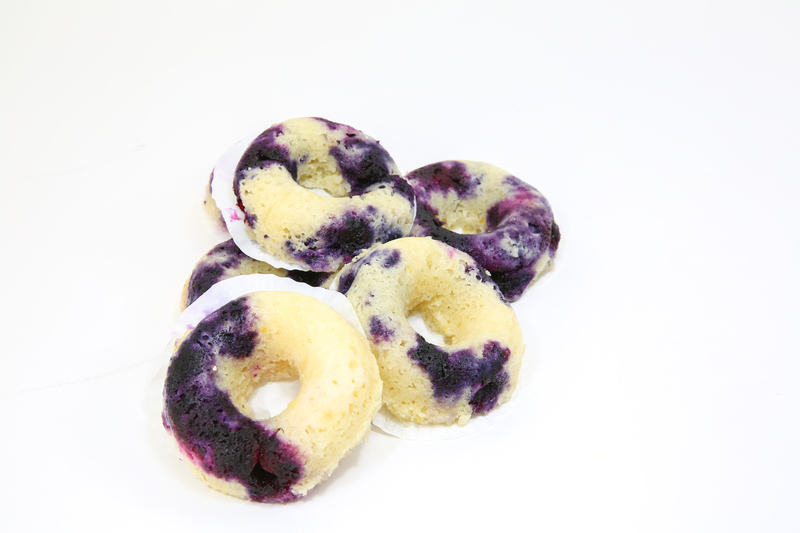 Gently mix blueberries into your batter and put the batter into a ziplock bag. 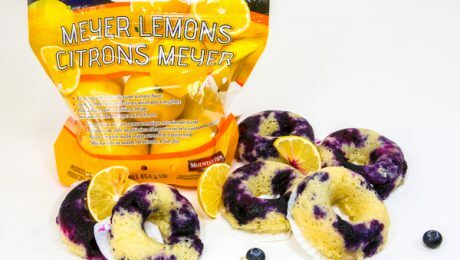 Cut off one corner of the bag just big enough to allow a blueberry to slip through and pipe your batter into your donut pan. Fill to about 2/3 full. Bake about 10-15 minutes. Check every two minutes after the first 10 minutes. Donuts are done when they spring back to the touch and not brown. Let cool for 2 to 3 minutes. Turn donuts out of the pan and onto a cooling rack. Make glaze by mixing powered sugar and lemon juice in a bowl. The glaze should be thick but not runny. 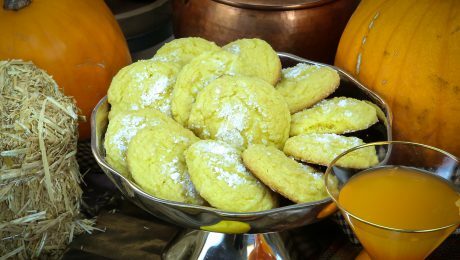 Add more sugar or lemon juice to adjust consistency. Glaze donuts by dipping top half into glaze. Mix filling ingredients together and spread in a 9-in. unbaked pastry shell. 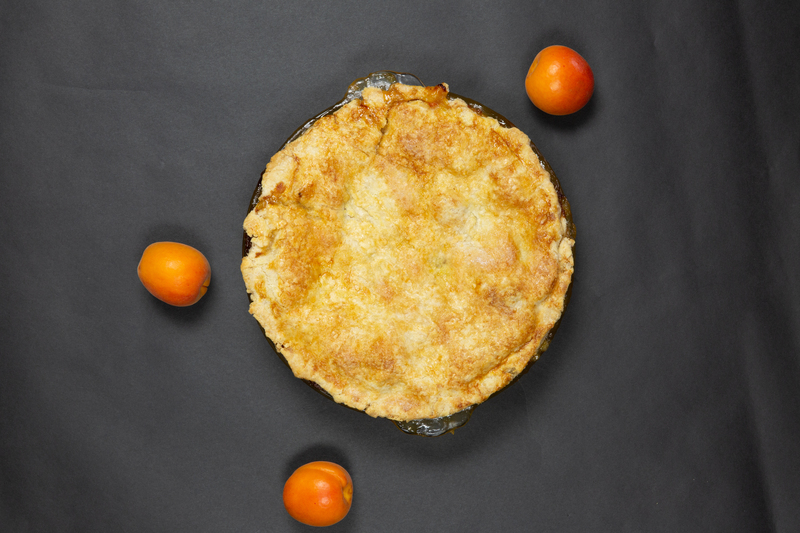 Mix topping ingredients together gently, creating a crumble texture. Sprinkle topping evenly over fruit. Bake at 425 degrees for 10 minutes, reduce heat to 350 degrees for 35 minutes. 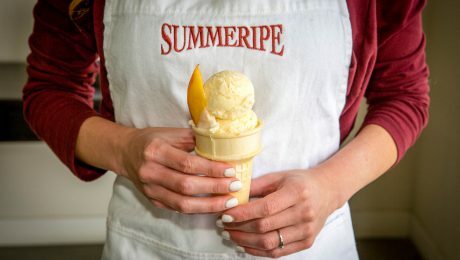 Summeripe's most simple recipe ever! 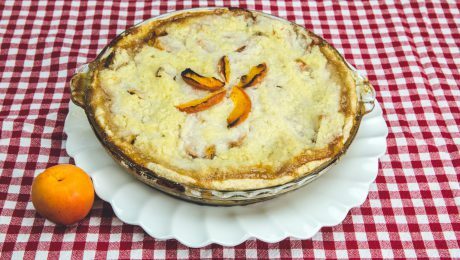 Never has it been so simple to bake a homemade peach (or other stonefruit) pie to share with family and friends. 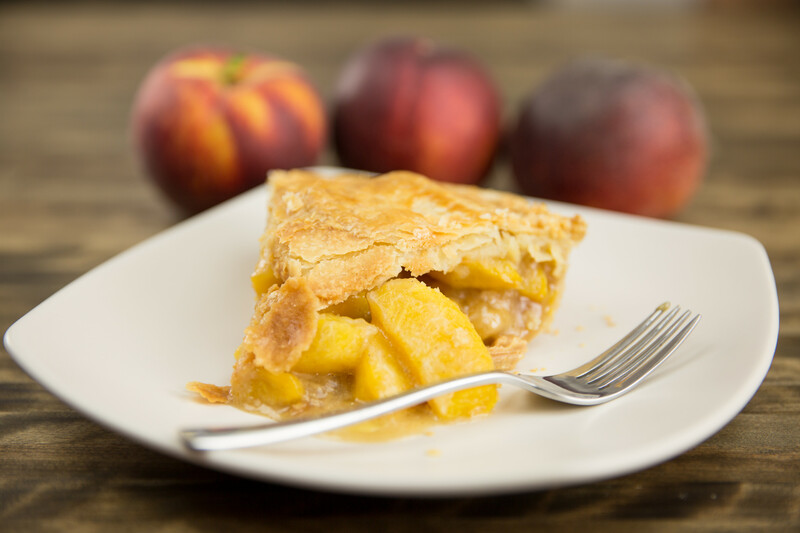 Only 6 simple ingredients is all it takes to create this delicious "Easy as Pie" Peach Pie. Little effort, HUGE reward! Thaw pie crust according to pie crust instructions. Place sliced peaches into large bowl, add in brown sugar, flour, and cinnamon. Stir until peach slices are coated. 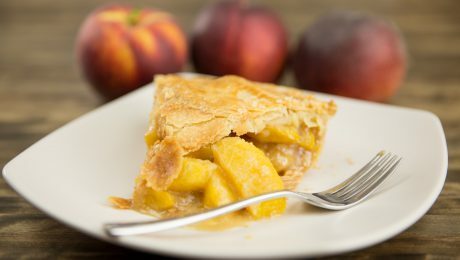 Fill bottom pie crust with coated peaches. Cut butter into 4-6 slices, place on top of coated peaches. Place upper pie crust on top according to package instructions. Brush upper pie crust with a small amount of the whisked egg (optional). Bake pie at 375 degrees for 1 hour. 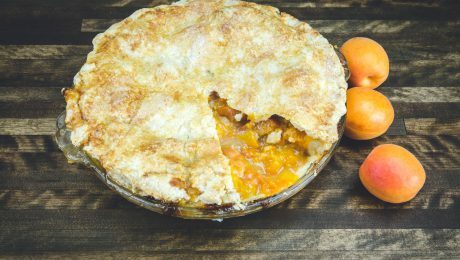 Helpful Hints: Use enough sliced peaches to fill the bottom pie crust above the tin. Skin Summeripe Yellow Peaches over a blender to capture all the juices and blend into chunks or until smooth. Beat eggs, sugar, and heavy whipping cream in a mixer until blended. Then add remaining ingredients. 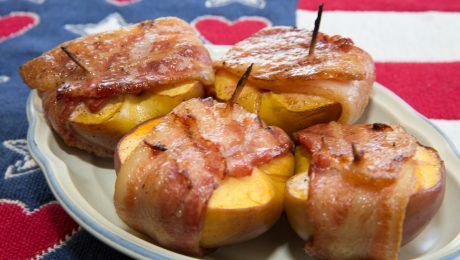 Serve with fresh Summeripe Yellow Peach slices and enjoy! A great and easy fruit cobbler that’s perfect for just about any occasion. Add in red flesh plumcots or plums for a surprising & sweet twist! Combine brown sugar, water, cornstarch, cinnamon and nutmeg in large saucepan. Cook, stirring constantly, until mixture is thickened and bubbly. Add peaches, lemon juice and butter. Cook until peaches are hot, about 4 to 5 minutes. Keep stirring so mix doesn’t stick to bottom of pan. Pour hot filling into 9x13 rectangular baking dish. Sprinkle dry cake mix evenly on top and press down firmly. Drizzle the melted butter evenly over the cake mix. Sprinkle top lightly with cinnamon. Bake for 35 to 45 minutes, until top is crisp and light to medium brown. You can adapt this simple base recipe in many ways. A drizzle of balsamic reduction and some feta cheese would make a delicious savory/sweet appetizer. Some brown sugar and cinnamon makes an almost peach pie flavor! Place sliced peaches into a large bowl. Add brown sugar and stir until coated. Single layer the peaches onto a large cookie sheet or two small cookie sheets. Roast in preheated oven for 20 minutes or until softened and slightly browned. Slice pound cake into 8 slices and place onto 8 individual plates, top with warm roasted peaches, dividing peaches evenly. 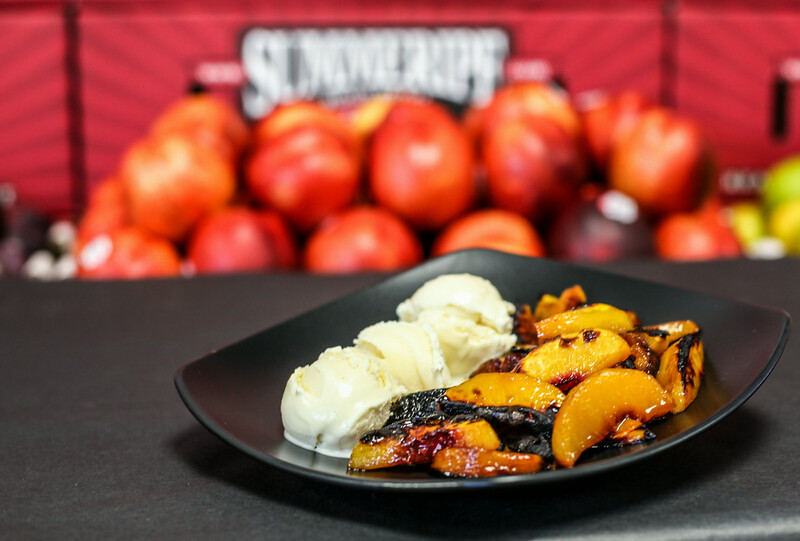 Place a scoop of vanilla ice cream on top of peaches and spoon Summeripe White Peach Dessert Sauce evenly over ice cream and sprinkle with Summeripe Nectarine Glazed Walnuts and enjoy! 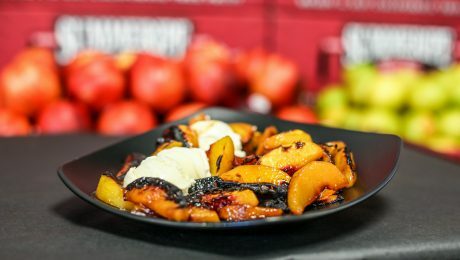 * The recipes for the Summeripe Nectarine Glazed Walnuts & the Summeripe White Peach Dessert Sauce. can be reached by clicking on their names. 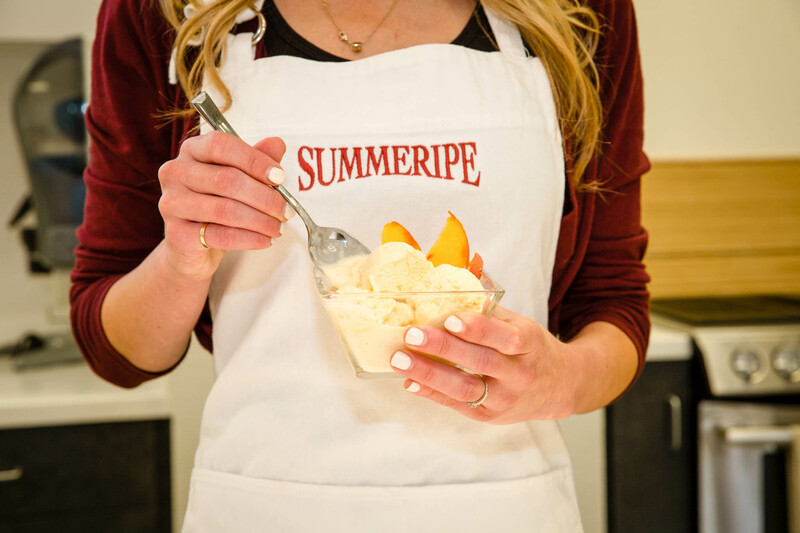 Roasted Summeripe Peaches bring a surprising, unique, and delicious s'more-like flavor to your favorite ice cream. Preheat the broiler on high and position a rack about 6 inches from the heat. 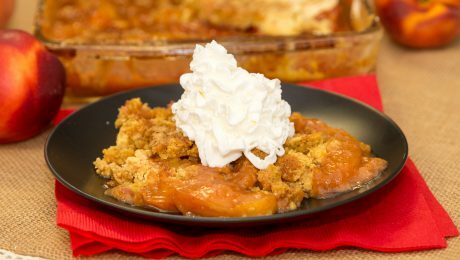 In a large bowl, toss the Summeripe Peaches with the brown sugar and scrape them onto a rimmed baking sheet. Broil the Summeripe Peaches for about 15-20 minutes, flipping them halfway through, until caramelized and roasted. 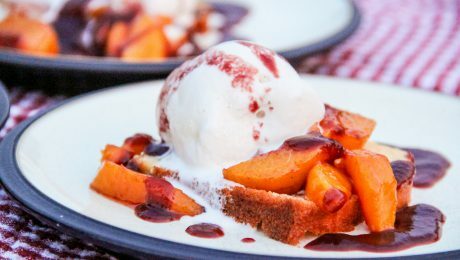 Let the Summeripe Peaches cool slightly before serving with a few scoops of ice cream.